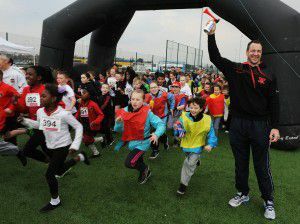 Salford Red Devils captain Adrian Morley started the 2014 Salford School Run as almost eight hundred children from across the city ran the two thousand metre course around the AJ Bell Stadium. 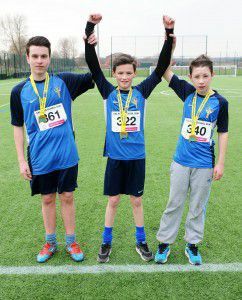 The annual event, organised by School Sport Partnerships in Salford was held at the stadium for the first time. Salford Reds Foundation offered their staff to act as marshals and helped cheer on the runners.